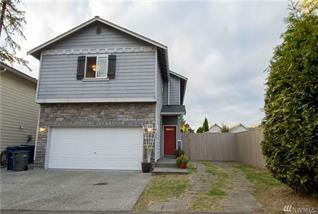 Welcome home, newly remodeled 3 bedroom with an upstairs bonus room. Features include a fully remodeled kitchen (new cabinets/appliances/quartz countertops), 3 remodeled bathrooms, fresh interior paint, and a fully fenced backyard (fence brought forward for extra backyard space) with new landscaping. End home in cul-de-sac with an extra parking space created. Newer bamboo flooring throughout entire home with new vinyl plank flooring in 2 baths.